On a late spring afternoon I sat at the only table at Tadal, an Armenian deli in Kurtuluş. Behind me were shelves lined with imported liquors: French, Greek and Georgian wines, Russian vodkas, an admirable range of Scotch whiskies. 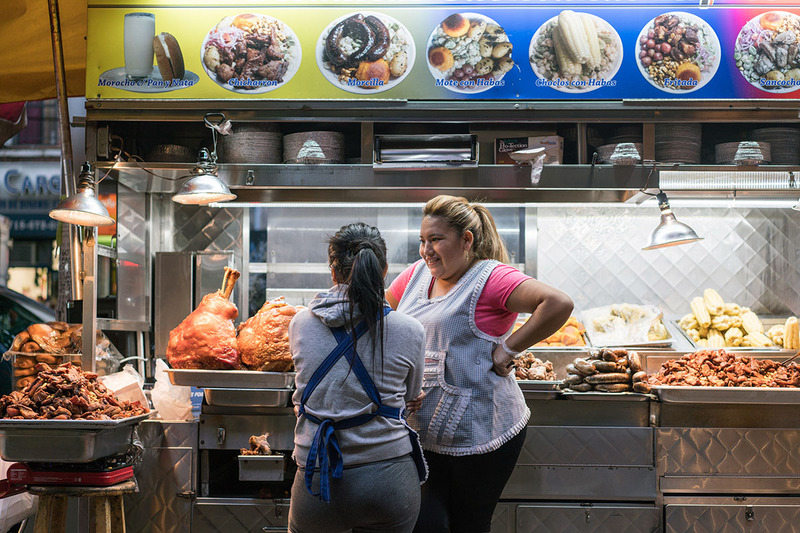 Opposite, a refrigerated case groaned with mezes (lakerda and taramasalata, rice-filled sweet red pepper dolma and mercimek koftesi, anchovies in olive oil), many varieties of olives and a range of cured meats that included not only the ubiquitous çemen-coated beef pastırma but also pork-based specimens like mortadella and salami. Cheeses were arranged next to tubs of pickles and clay dishes of buffalo-milk yogurt. Shelved behind the case were mini-loaves, for sandwiches to go, European and American brands of spreads and relishes, and an admirable selection of olive oils and vinegars. 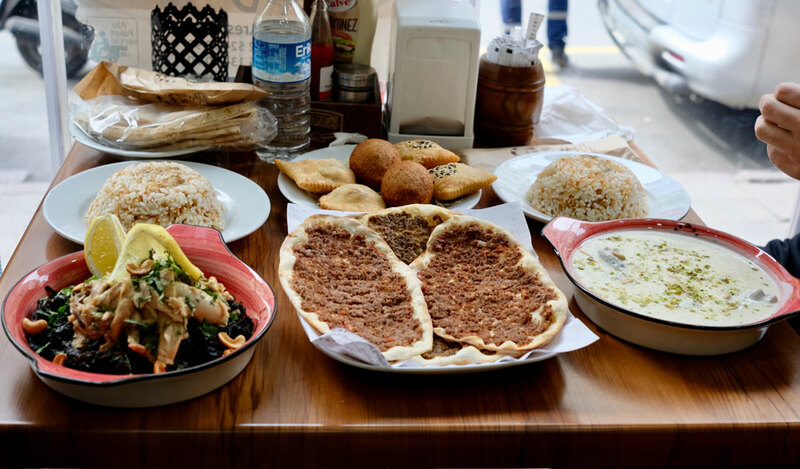 Tadal is Turkish for “taste and take.” Most customers take purchases to go; thus, the single table. 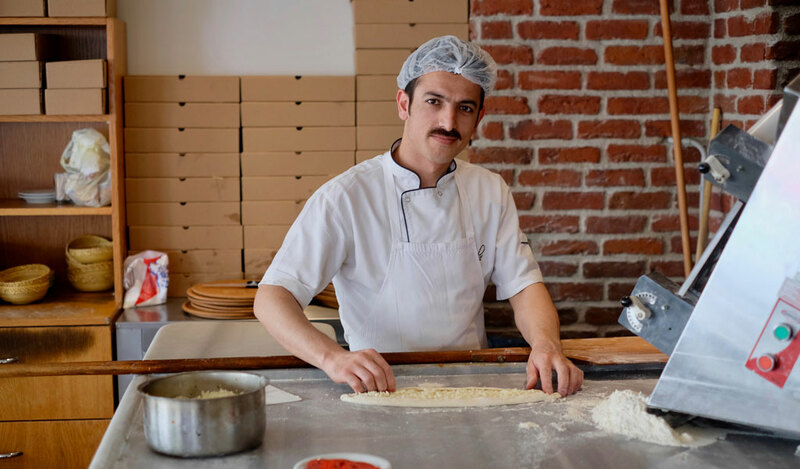 I’d come to taste a bit of old Istanbul, and to talk with owner Ari Terzioğlu, the only son of Kirkor, who assumed stewardship of Tadal fifty-odd years ago when the shop’s founder, Diran Mustafian, immigrated to America. Before me were small plates: topik, fist-sized chickpea and potato dumplings spilling onions mixed with allspice and tahini; mussels stuffed with cinnamony rice; pine nut and raisin-stuffed mussels; and Ermeni pilaki, white beans sauced with tomato. “Our midye dolması is number one in Istanbul!” Ari Bey declared as I dug in. I’m not one to judge, but the rice filling Tadal’s mussels (sourced only from the Princes’ Islands and the Black Sea, never from the Marmaris, says Ari Bey) is imbued with flavor, the result of several hours of slow cooking, followed by an overnight rest. In the pilaki, creamy beans pull flavor and sweetness from copious chunks of carrot. But for me it’s Tadal’s topik that stands out. Free of the grease that mars the surface of lesser versions, the pyramid-shaped dumplings boast a creamy chickpea-flavored shell and silky onions mixed with good tahini and plenty of spices. Tadal recalls a period when Istanbul, and neighborhoods like Kurtuluş, which was originally called Tatavla, were home to large numbers of Armenians and Greeks. (Current estimates place the city’s Armenian population between 60,000 and 70,000. Less than 2,500 Greeks live in Istanbul today, down from almost 120,000 before the First World War.) Ari recalls a Tatavla lively with meyhanes frequented by Greeks, Armenians and Turks; his favorite was Despina’nın Yeri run by a notorious Madam Despina, a Greek from the island of Imroz (now called Gökçeada). 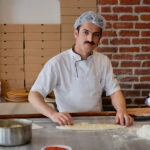 He remembers a 24-hour işkembe house that served those out late drinking, many more Armenian şarküteri, and Greek bakeries churning out mastic-scented braided loaves at Christmas and Easter. 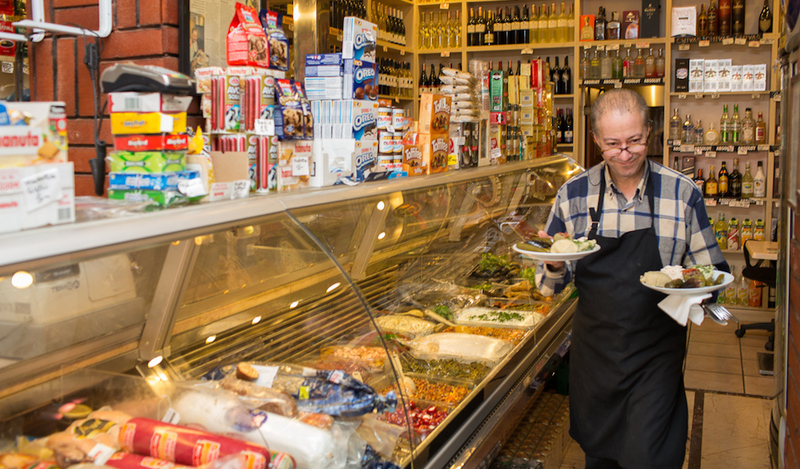 Nowadays Ari Bey’s customers are some of Istanbul’s last Greeks and Armenians, mostly in their 50s, 60s or older. 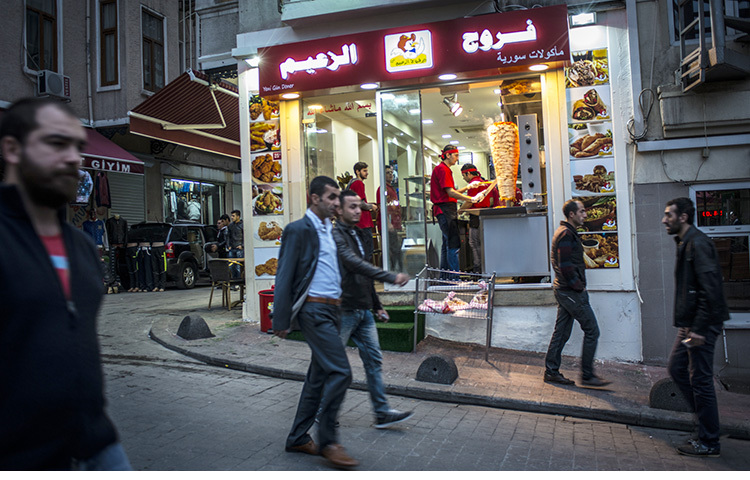 “On the weekends Turkish students come in to buy meze and rakı. And sometimes there are foreigners, like you,” he says. 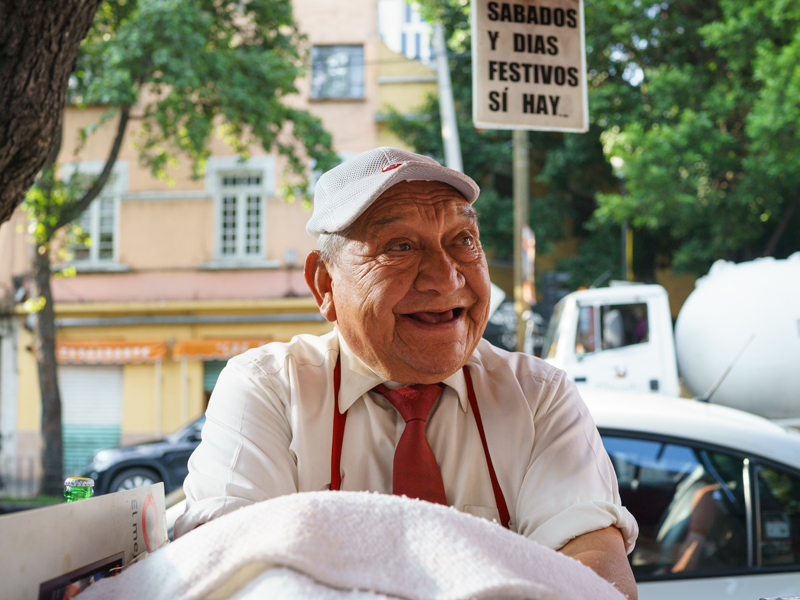 Tadal may fade away when he retires, he says, but for now it does a decent business – especially around Christmas and New Year’s and the weeks before Easter, when his Greek and Armenian customers order hundreds of topik, the chickpea dumplings. 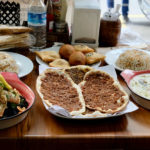 If Tadal has a claim to fame, it is this traditional Armenian Lenten meze, and for good reason. 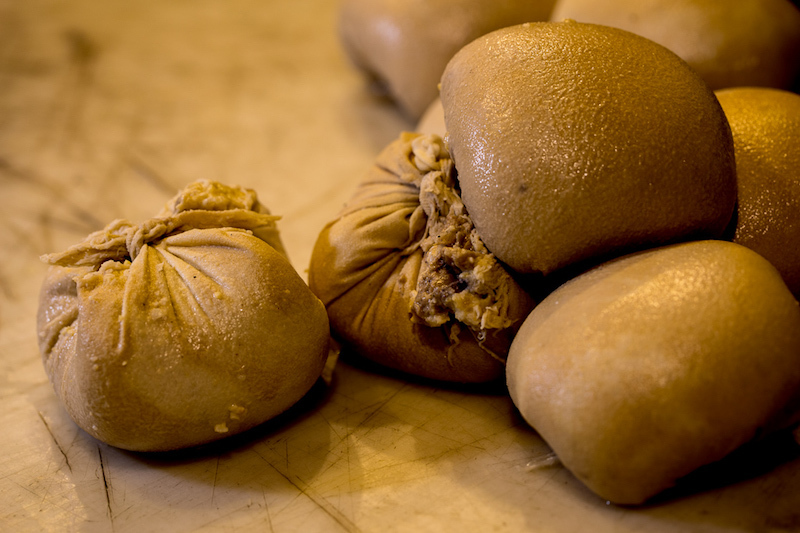 For this Armenian Lenten specialty a mixture of tahini, onion, pine nuts, currants and spices is encased in a ‘wrapper’ made from chickpeas mashed with potato and bound with tahini. 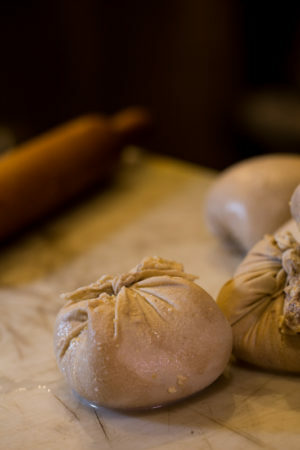 The fist-sized dumpling is then wrapped tightly in cheesecloth, briefly boiled and chilled overnight. The result is sweet and savory, lush with tahini and warm spices. 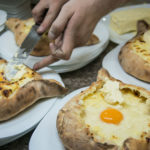 The bones of this recipe were created by Ari Terzioğlu, proprietor of Tadal, one of the last Armenian delis in Istanbul’s traditionally Greek and Armenian Kurtuluş neighborhood. Though not overly complicated this dish does require advance planning: the onions for the filling must be drained for at least an hour and the finished dumplings should rest in the refrigerator overnight. You’ll need cheesecloth and kitchen twine, for wrapping the dumplings. Both filling and wrapper ‘dough’ can be made a day ahead of time. To simplify an already multi-step preparation I use canned chickpeas instead of the dried legumes called for in Tadal’s recipe. No purveyor of fine foods as exacting as Ari Bey would endorse such a shortcut. But I like to think that if it entices you into making this dish, he would approve. 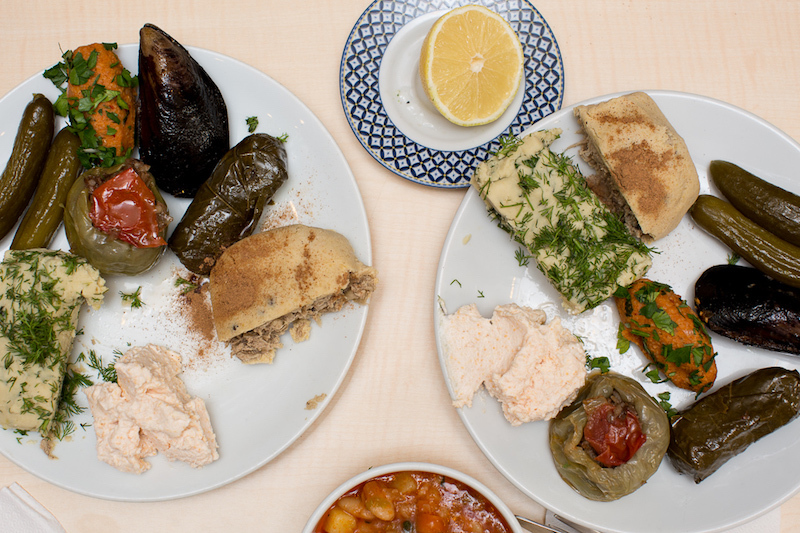 Serve topik as a meze, chilled and cut into wedges; figure one dumpling for four people with other mezes. Topik will keep in the refrigerator for up to a week, and can be frozen. The recipe can also be halved. Serve with a squeeze of lemon, if you like. Bring 1 quart of water to a boil in a medium saucepan. Add ½ teaspoon of the salt and the onions. Cook until they are absolutely soft, 10 to 12 minutes, then drain in a colander lined with cheesecloth. Bring the edges of the cheesecloth together and squeeze to remove moisture, then wrap the parcel in a kitchen towel. Place a cookie sheet or wide pan on the onions, weight it and leave to drain for at least an hour. While the onions are draining boil the potatoes in salted water until they are soft, about 15 minutes. Drain, rinse under cold water and mash with a fork, a masher or a potato ricer. (Do not use a food processor or the potatoes will become gummy.) Transfer to a medium bowl. While the potatoes are cooking spread the canned chickpeas on a clean, dry dishtowel, fold the towel over and move it back and forth with the palm of your hand. The skins of the chickpeas will come off; pick them out. Process or mash the chickpeas to a puree and add them to the potato. Stir in the tahini and salt. The mixture should be stiff enough to hold its shape on a spoon. Place the drained onions in another medium bowl. Mix in the tahini, sugar, salt and spices. Gently fold in the currants and the pine nuts with a fork; if you stir too vigorously the currants will release sugar, making the filling stiff and sticky. To assemble the dumplings cut four 9-inch lengths of doubled cheesecloth and four 10-inch lengths of kitchen twine. Turn the potato-chickpea mixture onto a work surface and divide into 4 pieces. Roll one piece between your palms to form a ball and hold it in one palm. Poke your forefinger deep into the center of the ball and gently move it back and forth to open up a large cavity, squeezing the walls of the cavity between your finger and thumb to heighten and thin them. 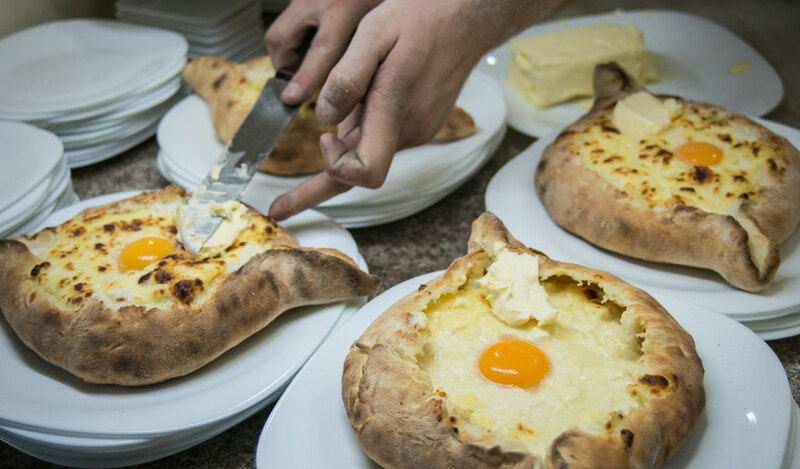 Your goal is to create a large cavity in the dumpling and leave walls that are not more than one inch thick. Spoon one-quarter of the filling into the dumpling; it should not be more than three quarters full. Fold the top sides of the dumpling in over the filling and gently roll it between your palms to form a rough ball. Lay the dumpling in the middle of a piece of cheesecloth. Bring the cheesecloth tightly up around the dumpling and tie it together at the top with the kitchen twine. Repeat with the rest of the potato-chickpea mixture and the filling to make three more dumplings.